Tucked away amongst the buzzing and chaotic hub of Herald Square, lies the most charming boutique hotel providing a fashionable and zen-like getaway for their equally trendy counterparts. 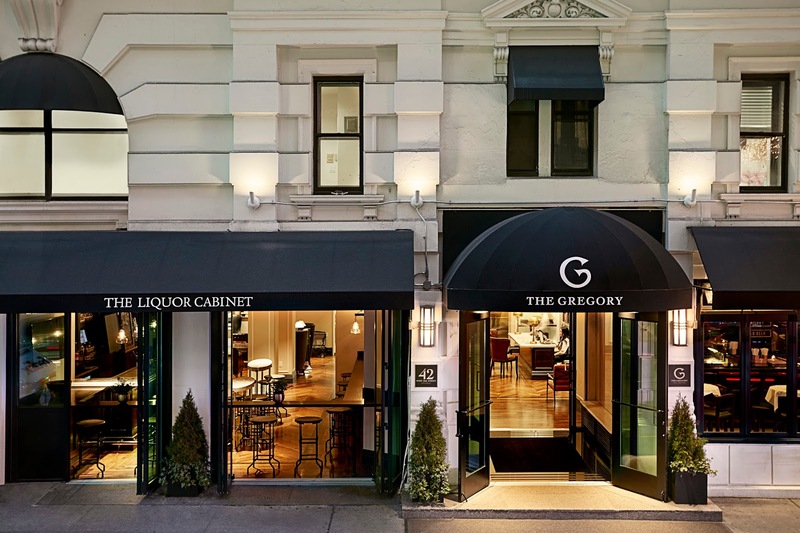 Feast your eyes on The Gregory (http://www.thegregoryhotelnewyork.com), a 132-room hotel that resembles a pre-war NY townhouse with its quaint common areas and cozy bedrooms. It’s modern luxury meets Old New York. The Gregory, originally opened as the Gregorian in 1903, to accommodate the overflow of affluent guests that weren’t able to check-in at the original Waldorf-Astoria, which was once located where the Empire State Building now sits. 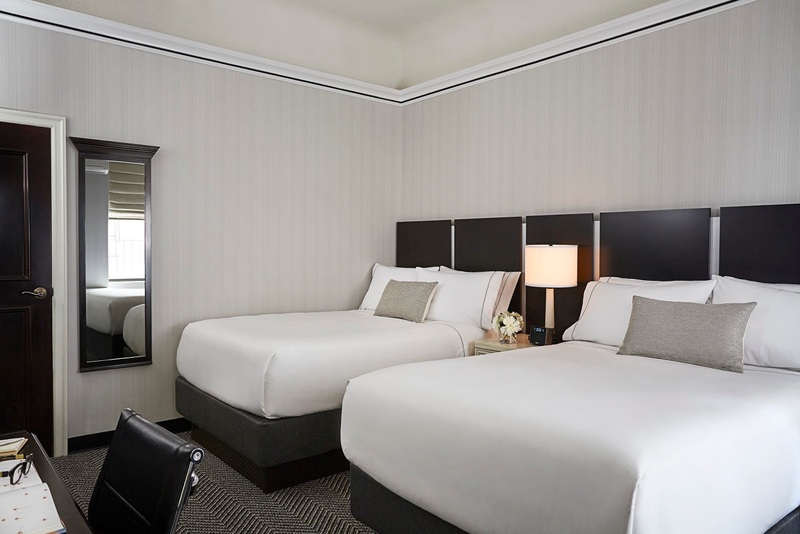 Because of its location and proximity to the city’s Garment District, the hotel pays homage -through details and amenities- to one of NY’s most popular fashionable destinations. The hotel maintains its classic early 20th century features like high ceilings and vintage moldings but, with its recent renovations, it has been infused with sleek and hip details like its color aesthetic of grey, black, and white and contemporary illustrations that adorn each of the rooms. As a writer/blogger/producer/mom on the go, the location couldn’t have been more prime! 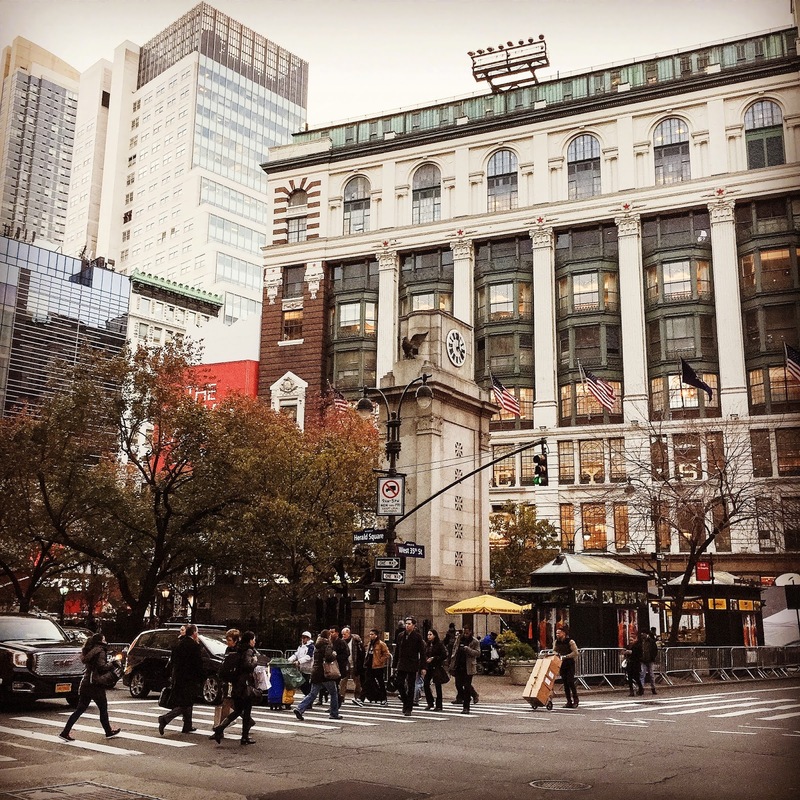 Living in NY for over 12 years, you usually avoid the popular yet crowded city destinations because of tourists, commuters, or eager shoppers. However, after staying at The Gregory, it couldn’t have been more convenient. I was steps away from every major subway line, which made it extremely easy to get around. The holiday shoppers and tourists were not even a bother and it was actually kind of magical (and nostalgic) to see the Thanksgiving Day Parade preparations and rehearsals come to life before the big show. We had delis, restaurants, and shopping at our fingertips and the hotel literally sits across one of the best Korean restaurants, Han Bat (http://hanbatnyc.com), in the city (so says the NY Times)! We were centrally located, close to both the east and west side. This made it a breeze to get to my shoot locations at any time of day without hassle. Another hotel perk was the staff’s friendliness and attentiveness. When we arrived, exhausted, to check in, we weren’t really feeling the king size bed. When you’re a parent of two, double beds are a heaven sent from the sleep gods! The staff quickly found an available room with double beds for us and made sure we were happy and comfortable. When the bathroom product dispensers ran out late in the evening, again, they were quick to refill them with new ones. Good service is hard to find, especially in hotels, but the staff at The Gregory was always available to help in whatever way. Lets talk about the rooms because they were my second favorite thing after the hotel’s common areas (we’ll get to that a little later). I love how the hallways and doors were so similar to that of a residential apartment building. As a former NY resident, this was a nice touch. The rooms were generously spacious; not huge but also not shoebox-sized. The muted color palette enhanced the relaxation factor after a long day. The beds were plush and soft and the room even boasted a small walk-in closet enviable of most NY city apartments! A small desk sits in a corner and it got plenty of use when I needed to finish some last minute writing assignments. The decorative wall display, made up of an array of mixed prints and illustrations in black and white, was a hip addition to the room’s decor. 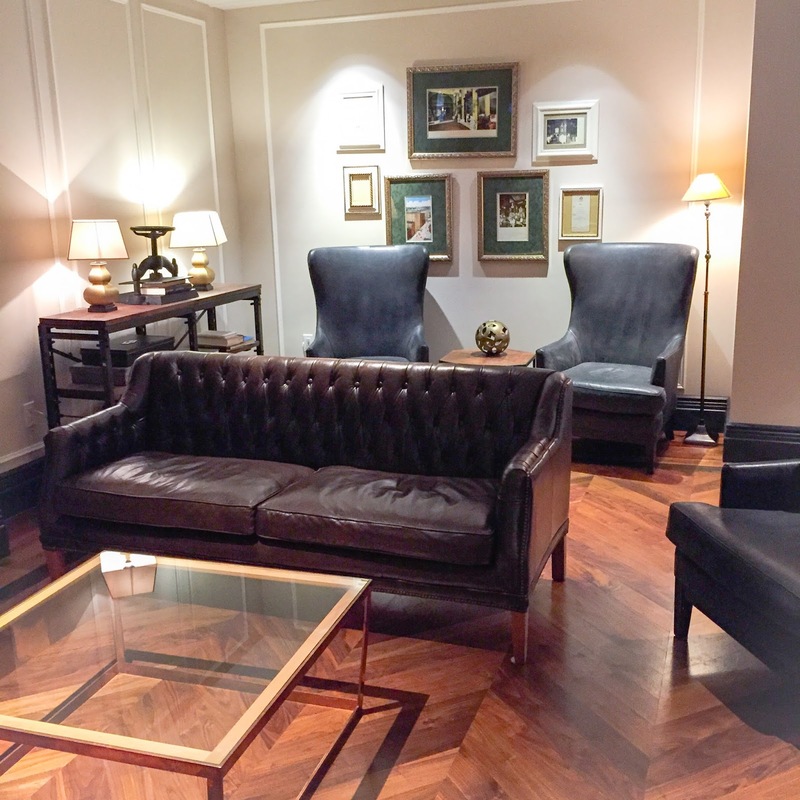 Motifs that touched upon the hotel’s homage to the city’s Fashion District were clear- garment samples, tailored suits, buttons, and sewing machines- were just some of the pictures that hung on the wall. This hotel is a fashionista’s dream! Kick off your stilettos and indulge in a relaxing bubble bath in your bathroom’s all white simplicity. Know I did! 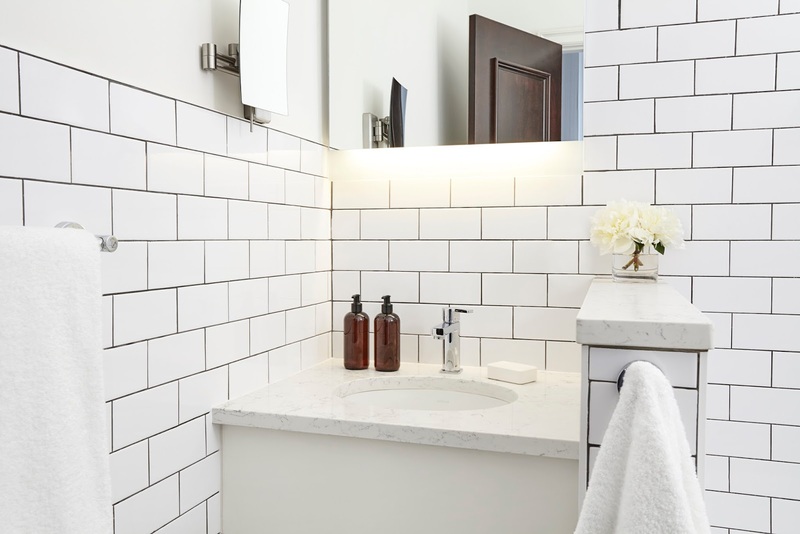 The black and white mosaic floors and subway tiles along the walls, are reminiscent of the hotel’s original pre-war architecture. It’s gotten a fresh face lift with marble counter tops and bath and body products from Brooklyn-based line, Apotheke. I made any excuse to take two baths a day just so that I could take advantage of these products. I loved how the products were on full-size dispensers as opposed to those travel-sized bottles you find yourself annoyingly squeezing to get that last drop. One of the things I look for when I check in to my room at any hotel, is how pitch dark that room gets when its time to go to bed. I’m all about my beauty sleep and when a room has the ability to transform into total darkness, that’s a huge plus for me! How original and clever are these ‘Do Not Disturb’ signs to display outside your door?! Another ode to the Garment District or to ’50 Shades of Grey.’ It can go either way! Here’s another amenity my husband, Coco, and I enjoyed during our stay at The Gregory- the hotel’s lobby space. Only, it didn’t feel like your run-of-the-mill lobby. Sitting on these gorgeously upholstered leather couches and chairs, felt strangely but comfortably similar to sitting in someone’s living room. The space is intimate and exudes some of that Old World charm prevalent in NY’s early days, but its injected with vibrant and young energy evident from their trendy and well-rounded visitors! Coco and I often hung out in the area to people watch, catch up on emails, or enjoy a coffee in the morning. Speaking of morning, the common area offered a complimentary coffee and tea service, which for a tea drinker like me, was the most perfect way to start my day before heading out into the concrete jungle. It became my thing to come downstairs early, grab my tea, plop myself on the couch, and read emails in such an elegant, yet welcoming setting. It was easy to pretend I was in my old Upper East Side apartment; only I shared it with a bunch of people I didn’t know! 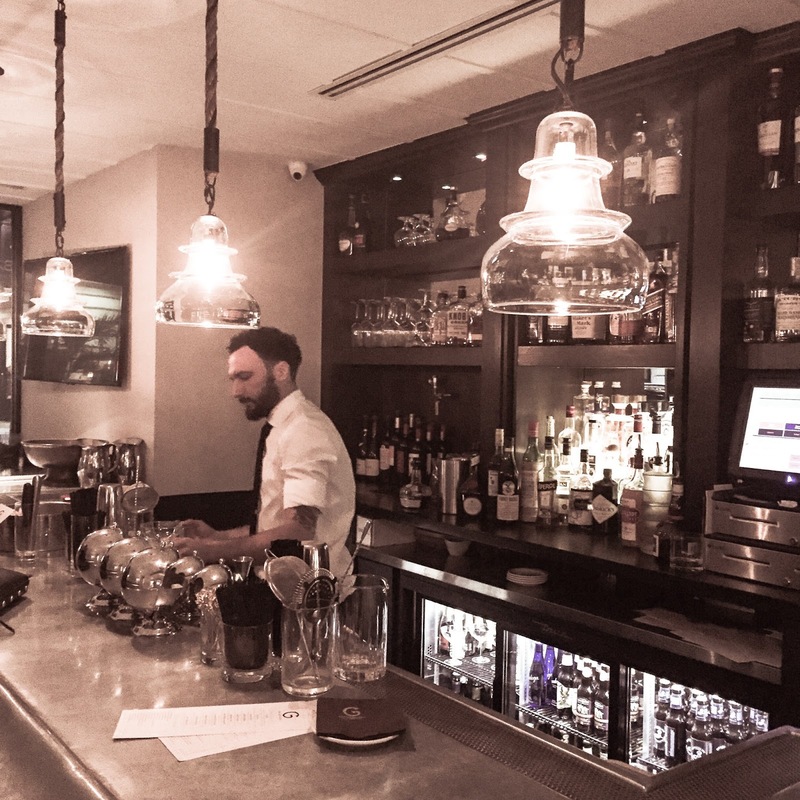 The beauty of that coffee and tea bar is that in the evening or when that clock strikes ‘happy hour,’ it becomes ‘The Liquor Cabinet,’ a cocktail hotspot that brings in the city’s most stylish inhabitants to kick back after a hectic work day. When it came time to ‘raid the liquor cabinet,’ I opted for a Kir Royale as my drink of choice. It was amazing to not have to jump in a cab to meet anyone at the latest ‘it spot,’ because it just so happens we were already staying at one. We met friends for drinks at the bar and as the night progressed, more and more groups made their way to the tables and couches. I couldn’t think of a better way to unwind! It won’t be long before this ‘hidden gem’ gets uncovered as the masses of editors, publicists, bloggers, and models make their way to NY for Fashion Week. This boutique hotel will be the go-to spot for the fashionably elite. I can see it in my crystal ball- glamorous trendsetters clacking through the lobby in their Louboutin heels, taking selfies at The Gregory (with their #iwokeuplikethis hashtags), before making their way to the fashion week tents! 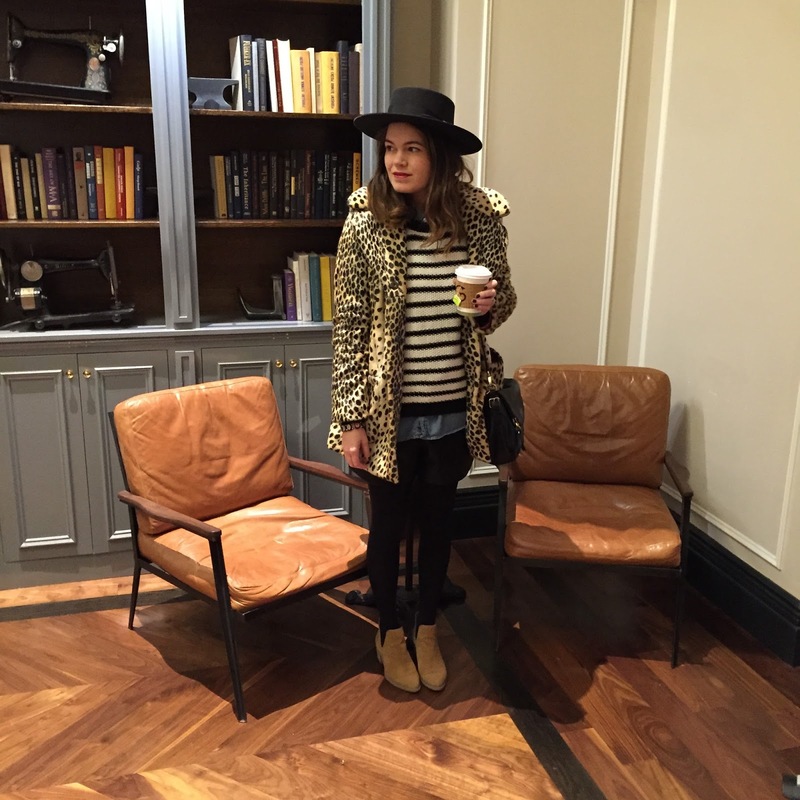 Next Post Miami Style Map: Saying Adieu to 2015!